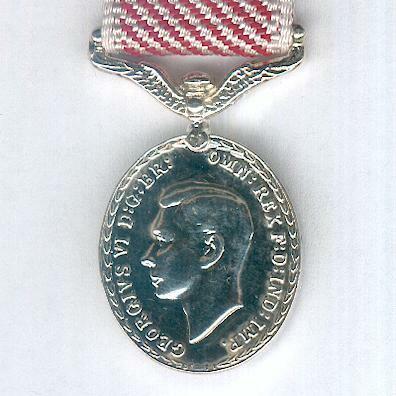 Miniature oval silvered medal on wings and ribbon bar suspension; the face with the head of King George VI facing left, circumscribed ‘GEORGIUS VI D: G: BR: OMN: REX F: D: IND: IMP:’ (George VI by the Grace of God King of Great Britain, Defender of the Faith, Emperor of India), all within a laurel border; the reverse with Hermes mounted on a hawk in flight with wings outstretched, a laurel crown in his extended right hand, all within a laurel border; width 17.47mm (0.69 inch); on original post-1919 ribbon. 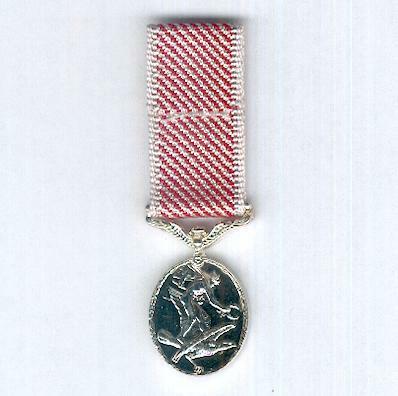 The Medal was instituted on 3 June 1918 to be awarded to non-commissioned officers and other ranks for ‘an act or acts of valour, courage or devotion to duty whilst flying, though not in active operations against the enemy’. 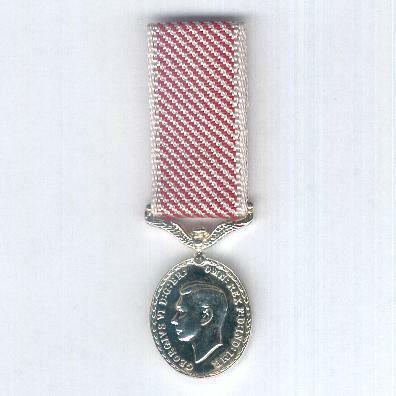 The Medal was awarded very sparingly. 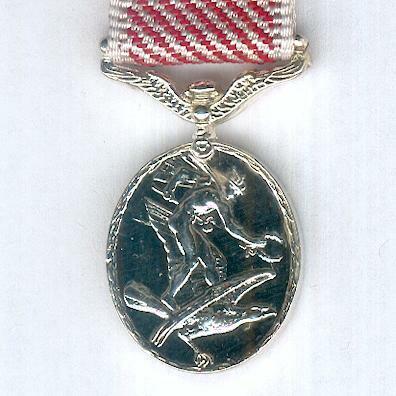 Since 1993, other ranks may be awarded the Air Force Cross, formerly reserved for officers, and the Medal is discontinued. This example is of the first George VI type before the change of wording to the face in 1948 following the independence of India but appears to be of relatively recent manufacture.